Call 256-704-7400 to Find the Right Apartment Building Owners and Rental Property Insurance Protection for Your Alabama Business at the Best Price! If you own properties, such as apartment buildings, condos, or any other rental properties, you know there is a lot of juggling to do to keep your tenants safe and protected in their buildings, but what if something goes wrong and you are faced with a lawsuit? Will you and your assets be safe or will you have the right type of apartment building owners insurance? The good news is that Burkett & Associates Insurance Agency offers the right apartment building owners and rental property insurance protection for your Alabama business at the best price. 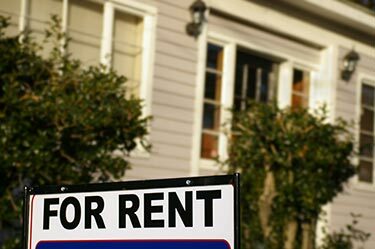 Being a landlord can be rewarding on many levels, but this type of business exposes apartment building owners to a unique set of risks that must be guarded against with the right type of custom-built insurance. Below are just some of some common risks you may experience. A fire breaks out and destroys one of your apartment buildings and now you are faced with an extensive amount of property damage, as well as loss of income because now the tenant can’t live there. One of your employees has been stealing equipment from you and also accessed your business account and withdrew (“stole”) money. A potential renter, while taking a tour of your rental property, cuts her hand on a piece of broken glass that you failed to see, and is now suing you. A former renter, who routinely failed to pay rent, was evicted and now you are being faced with a wrongful eviction and discrimination claim. These types of claims are all common and must be addressed with our expert staff so that we can address and manage your potential risks with a complete insurance package, within a budget that is right for you. There are other types of additional insurance coverage options that are available for you, such as errors and omissions coverage, equipment breakdown, business umbrella, libel/slander, and others, so it is recommended that you contact our experienced staff at Burkett & Associates Insurance Agency to discuss the risks most prevalent for you, your buildings, and tenants, so we can build the right type of Alabama comprehensive insurance protection you need. Burkett & Associates Insurance Agency understands your needs and when it comes to insuring your apartment building or rental property, we are dedicated to providing the type of insurance protection that you, as a business owner, deserves. Call TODAY at 256-704-7400 for a Free No Obligation Quote on Alabama Apartment Building Owners Insurance Protection! Is your rental house being non-renewed?